Barnes & Noble just announced that between now and May 11th the handy and popular Nook Glowlight e-book reader will be offered at a discounted price of only $99, for Mother’s Day. That price includes free shipping if you purchase the Glowlight online, too, so the savings adds up to close to 20% off the regular retail price. Colorful and protective Nook Glowlight Clip covers are also being offered at a 20% discount. Now that we have more eReaders options … which one should I get? For me, that is enough. 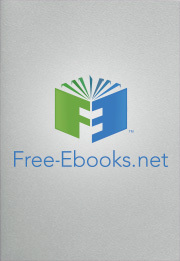 We have seen several recent changes at the Free-ebooks.net website. Not long after our partnership with Ampersand Academic Press we are partnering with bookboon.com to bring you FREE textbooks. A few weeks ago, I wrote about the fact that the Kindle™ needed to drop a bomb in the eReading space in order to keep up with the seemingly fast innovative pace that Barnes and Noble and the Nook™ seem to be setting. Well, apparently Amazon.com has been feeling much the same way and is apparently preparing to drop that bomb. The secret to living a passion filled life? As my friend Alan Cohen shared it all comes down to how your make decisions in life. Alan introduced the idea that anytime you need to make a choice in life, to make sure you remain on the path that’s true to yourself, it all boils down to either a “Hell Yes!” or a “Hell No!”.